What are "Interactive Infographic Widgets"? Interactive widgets can be added to digital version of your infographics. 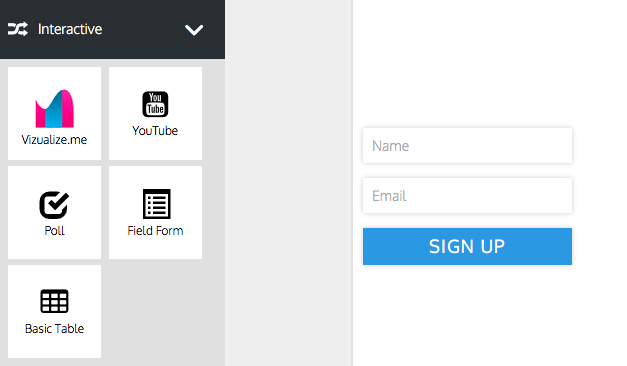 You can embed YouTube videos, voting polls and e-mail forms right to your creations. You can then export any data directly to a Google Spreadsheet! First find the Interactive drop down on the left hand side of your screen. 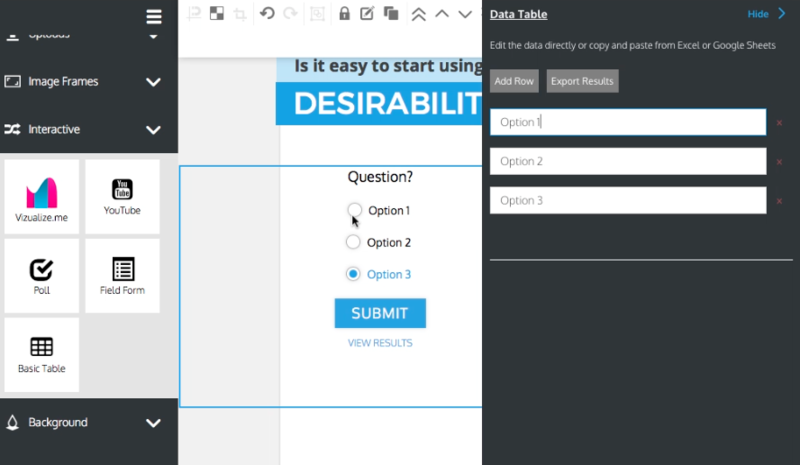 Drag and drop any of the interactive components into your editing canvas. 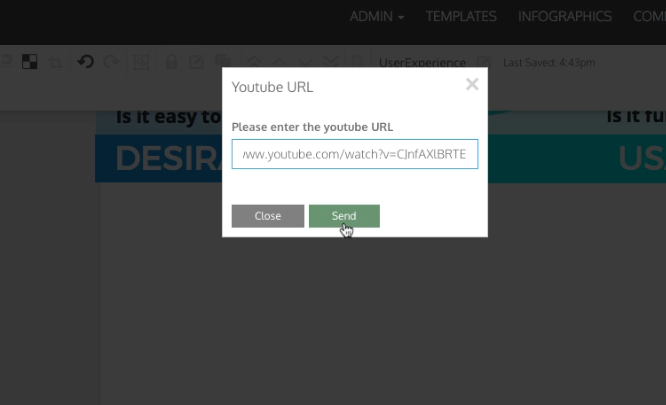 For YouTube, simply copy and paste the URL of the YouTube video you want to embed, and position your video. 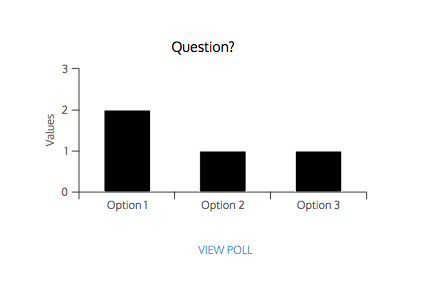 For Polls, drag the widget into the screen and then double click on the poll to edit the question and answers. You can view the results in the form of a graph, and export the results into a CSV file which you can later import into a Google Spreadsheet or an Excel Document. Just follow the same instructions when adding a field form! Note that if you export files with interactive widgets in them as a PDF or PNG, they will no longer be interactive. 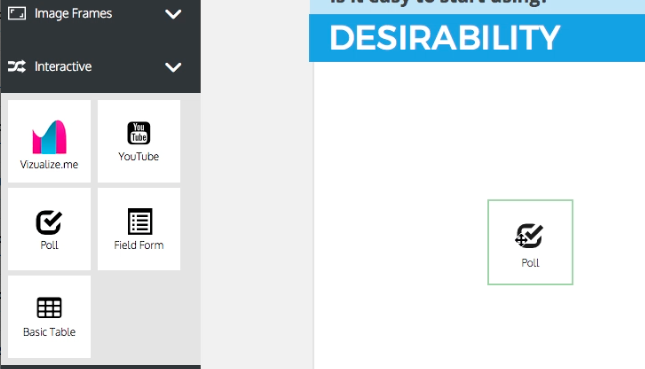 This feature only works if you publish your infographics digitally. Enjoy!